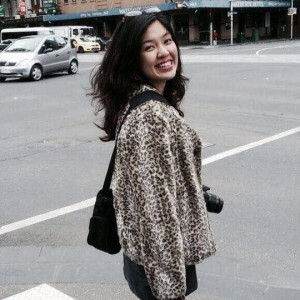 ICJ Victoria are pleased to announce that the ICJ Bar Reader program candidate for 2017 is Malaysian lawyer Mable Leong Pui Mun. Mable was selected by through a competitive application process. Mable graduated from the University of Manchester with Honours in 2010, and has had an interesting and varied career since then. Upon graduation, she used her legal skills as the Research Executive at the Evangelical Alliance of Malaysia, focusing on religious freedom issues as it impacts the Christian community and the church. After her stint at the Alliance, she entered private practice with a portfolio on employment law, general corporate dispute, and public interest litigation involving the Government of Malaysia and religious authorities. She is also a member of the Malaysian Bar Human Rights Committee, and coordinated projects with the American Bar Association Rule of Law Initiative (ABA), and public policy think tank groups, such as the Malaysian Centre for Constitutionalism and Human Rights (MCCHR) and the Institute for Democracy and Economic Affairs (IDEAS). These projects all concern religious freedom and contemporary human rights issues. As a lawyer, she believes that the English type of constitutional democracy by rule of law may sound good in legal text books, but does not operate well in the multi-religious/pluralistic society in which she comes from and where these fundamentals are currently subject to erosion. Mable is passionate about working on these issues through various civil society organisations in the public realm for a better Malaysia. For further information on this program, please contact icj-vic@vicbar.com.au.